Televisions in the 50″ to 58″ range are some of the largest widescreens on the market, and people buy them for a variety of reasons. Maybe they are sports junkies who want to see every aspect of their favorite team’s ballgames in living color. Maybe they are movie buffs who want to view their favorite flicks in a new and exciting way. Maybe they are simply everyday people who want to have an all-around great television. Whatever the reason for purchasing a large widescreen television, there are some excellent models on the market that are sure to delight everyone from common viewers to television gurus. Picture quality is often a chief concern among those shopping for a widescreen television, and the LG 55LS5700 55-Inch 1080p 120 Hz LCD HDTV has excellent picture quality. Some models of LCD TV struggle with providing a quality picture from any angle other than straight on, but the LG 55LS5700 has an excellent viewing angle and great picture quality no matter from where a person is watching. The larger the screen, the more picture quality becomes an issue, but the 120 Hz refresh rate and the 1080p resolution prevent blurring and other such common problems. The 55LS5700 is highly energy-efficient; its 90 watt energy consumption rate easily qualifies for an Energy Star rating. LCDs in general generate little heat, so this environmentally-friendly television set will not overheat the living room–or the bank account. The LG55LK520 gets high-quality ratings in picture quality, contrast and brightness, and energy efficiency and is consistently rated as a top LCD TV in the 50″ to 58″ range. 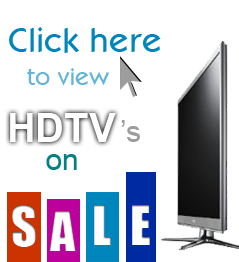 LED TVs are LCD TVs with an LED back-lighting system installed behind the television screen. The goal of using light-emitting diodes to add extra light is to focus the frequency bands of colors in order to pinpoint individual colors more accurately, and the Sony Bravia XBR55HX929 does this wonderfully with its unheard-of refresh rate of 960 Hz. Its contrast ratio is billed as infinite due to its dimming capabilities, which would be a foolish claim if anyone had found a way to prove it wrong. This television produces deeper blacks and purer whites than any other LED TV and features a bevy of connections that allows users to hook up a large amount of storage and streaming devices. The Sony Bravia XBR55HX929 is also 3D capable, meaning that, while it is not specifically made for viewing 3D movies, viewers can watch 3D movies on this television. While this television uses more power than some LCD/LED TVs, it is still Energy Star Certified, is below the average for other 50″ to 58″ television sets, and has a standby mode in which no power at all is consumed. This television also boasts a wide viewing range, meaning the picture is just as good from the corner of a room as it is from dead center. All of these features make the Sony Bravia XBR55HX929 the best LED TV on the market. Plasma television sets use electrically charged ionized gasses to produce a picture, and they often use more electricity than their LCD or LED counterparts. The LG 50PM9700 is no exception, although it is exceptional in spite of its high energy usage. While plasma TVs run hotter than LCDs or LEDs, their big advantage over those TVs is their brilliant picture quality. The LG 50PM9700 does indeed boast vivid and vibrant colors and a dynamic contrast ratio of 5,000,000:1 that produces the darkest blacks and lightest whites. It also comes with a TruBlack filter to prevent glare and the picture can be seen well, even in bright rooms. Another virtue of the plasma TV is that models often eliminate blurring and ghosting by employing a field drive rather than a refresher. The LG 50PM9700’s 600Hz field drive always produces a smooth picture ideal for sports, games, and action movies. This TV also has a wide variety of connections and online streaming options as it is Wi-Fi ready. Its LG NetCast feature provides access to Netflix, YouTube, Picassa, and other such online streaming venues. The LG 50PM9700 plasma television boasts stunning visuals, excellent speakers, and top-notch features to make it the best plasma TV. While some TVs are 3D capable, a true 3D TV is designed for 3D viewing. These TVs are newcomers to the television market, and the Panasonic VIERA TC-P55VT50 is the best of these TVs. It utilizes active 3D technology rather than the passive 3D of 3D compatible TVs, and can turn 2D images into 3D ones. Granted, these converted images are not as crisp and clear as movies made for 3D, but the technology is impressive nevertheless. Viewers can now watch their favorite 2D movies in a new and exciting way courtesy of the Panasonic VIERA TC-P55VT50. most 3D TVs are LCD or LED, but the Panasonic’s 600 Hz subfield drive makes this 55″ screen a perfect medium for viewing 3D and 2D movies and shows. This TV only comes with one set of 3D glasses, so more will need to be purchased if multiple viewers are anticipated. The Panasonic VIERA TC-P55VT50 has standard hookups, meaning a viewer can hook up standard DVD and BluRay players as well as storage drives. Panasonic is well-known for their high-quality plasma TVs, so it is unsurprising that they manufacture the best 3D TV on the market. Purchasing a new TV is a personal decision, so people will ultimately have to examine the pros and cons of the different types of televisions and decide for themselves what they value most. Viewers should also make sure to buy peripherals that will aid in the enjoyment of a new big-screen TV such as HDMI cables, a BluRay or DVD player, and subscriptions to online viewing services. Buyers might also want to consider purchasing a warranty so their televisions will be insured in case they experience any problems.